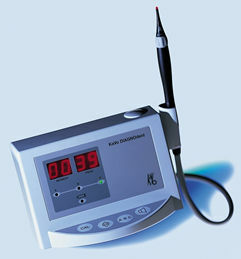 Millburn Dentist- Millburn, NJ- Dr. Marusia Kushnir is proud to offer the DIAGNOdent Laser cavity detection aid! 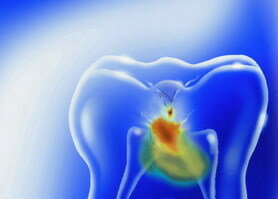 A changing caries model: due to fluoridation, caries has gone "underground". While helping to improve the oral health of many Americans, fluoridation has resulted in harder tooth enamel. Incipient caries lesions that once began on the tooth's surface have now migrated to below the surface. Proven clinical results: Treatment decisions require a higher degree of certainty. The DIAGNOdent laser caries detection aid removes the doubt from treatment decisions regarding hidden caries and questionable stained grooves. The device's ability to see into occlusal pits and fissures enables dentists to treat sub-surface caries lesions with confidence.